The Swiss watch manufacturer IWC Schaffhausen has been producing timepieces of lasting value since 1868, demonstrating a clear focus on technology and development. Recently, the Swiss luxury watchmaker’s CEO, Christopher Grainger-Herr, starred in a new social media campaign led by Mercedes-AMG. In this racy short film, the CEO appears at the wheel of the new Mercedes-AMG e 53 4matic+ Coupé, also sporting the Ingenieur Chronograph Sport Edition “50th Anniversary of Mercedes-AMG” on his wrist. This special edition timepiece marks the 50th anniversary of Mercedes-AMG, a longstanding partner of the luxury watchmaker. Launched last year at the Nürburgring, the watch is driven by the IWC 89361 manufacture calibre and is housed in a robust titanium case. Inspired by the brake discs of the high-performance sports cars from Mercedes-AMG, the magnetic field protection is visible through the glass back. 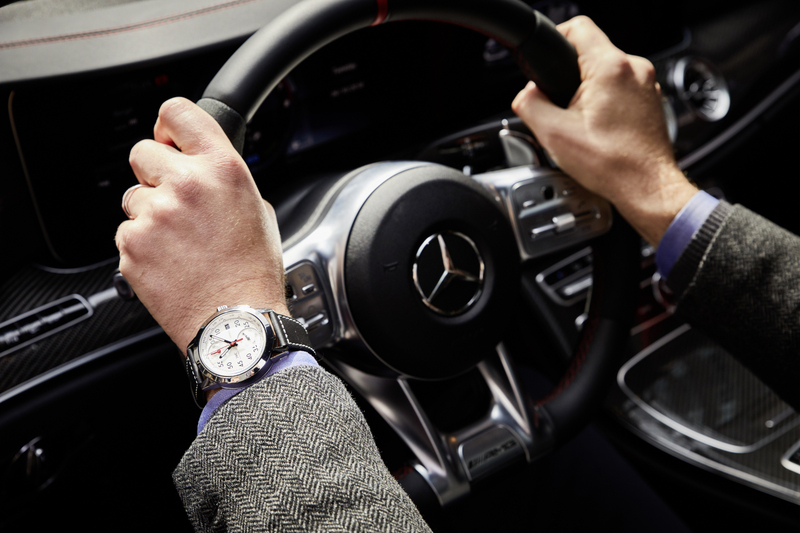 Since 2004, IWC Schaffhausen and Mercedes-AMG have enjoyed a successful partnership. Sharing common values such as precision engineering and exclusive design, their collaboration is also founded upon the vibrant tradition of technology in both companies. Both the mechanical watches from IWC and the high-performance sports cars from Mercedes-AMG appeal to individuals with high expectations, who follow their own paths in the search for something special. For more information, please visit www.iwc.com. Ingenieur Chronograph Sport Edition "50th Anniversary of Mercedes-AMG"